Remember when Michael Jordan bequeathed his own Jordans to a former Delta Center ballboy for so thoughtfully bringing him applesauce and helping him win the legendary ‘Flu Game’ of the 1997? Preston Truman, the now 35-year-old former Jazz ball boy, has turned down several invitations to sell them over the years, including an $11,000 offer sixteen years ago. But now it seems he's changed his mind. 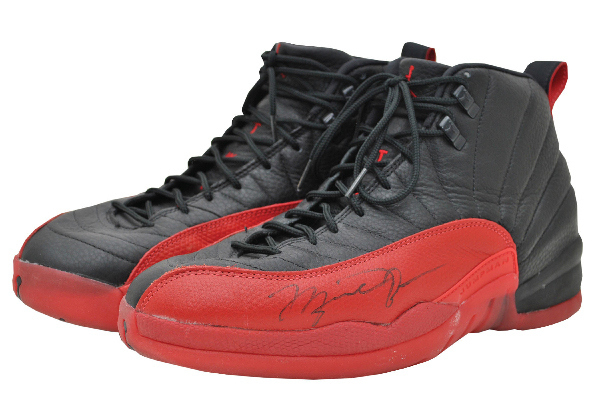 GreyFlannelAuctions.com has listed the pair of the black and red Air Jordan 12s, at a starting price of $5,000. Bidding starts November 18, and you can check it out here.